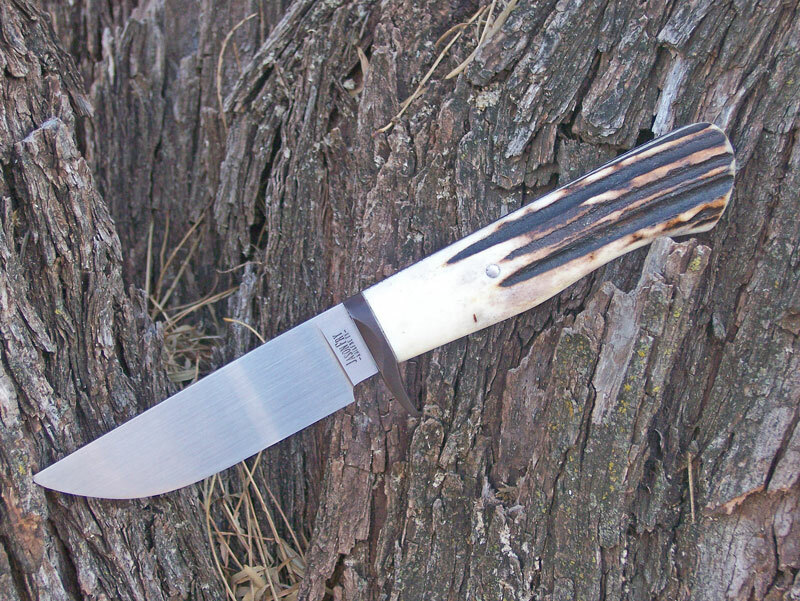 There are some things that every knifemaker has to try. A frame handle is one of them. Inspired by the likes of Bump and Quesenberry, I built this frame handled hunter. 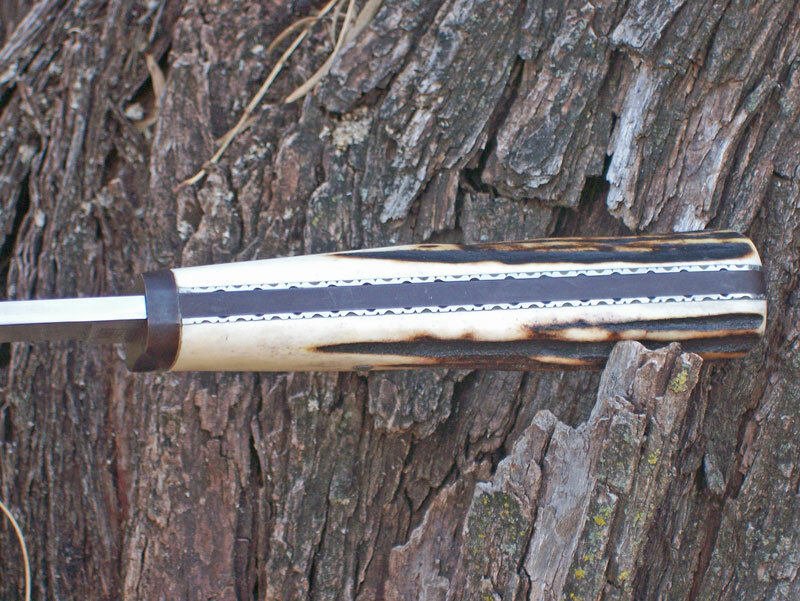 The blade is CM154 with a 400 grit hand finish. The “ordinary” stops there, however. The guard and frame are mild steel with a “plum brown” finish. 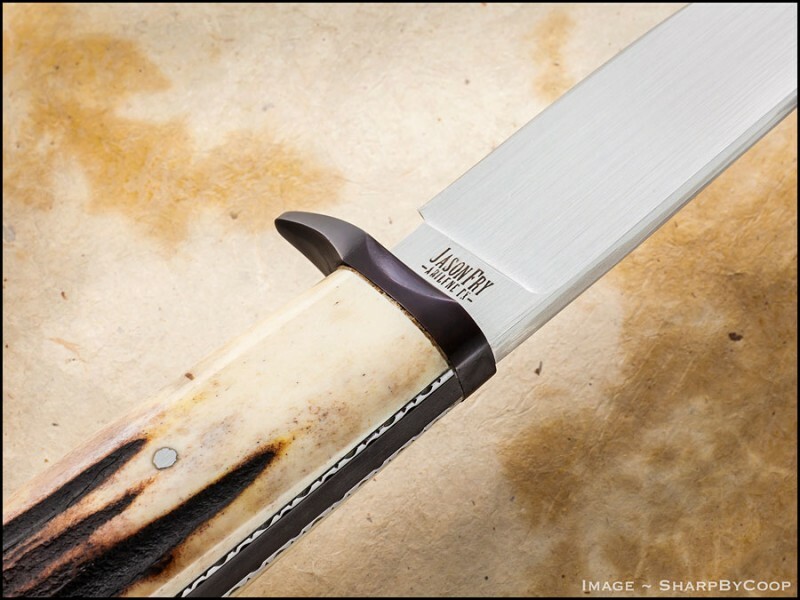 There are fileworked stainless steel liners, and the handle scales are Sambar Stag. Overall length is 8 5/8 with a 3 7/8 blade. 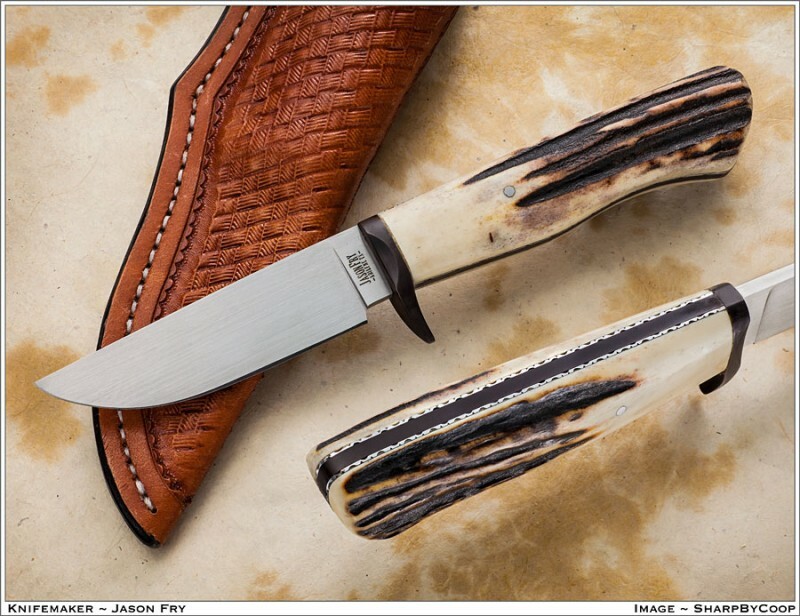 I also had this knife shot professionally by Jim Cooper of Sharp By Coop.Hopefully we’ll see it in print somewhere.